Very nice upgrades in unit and nice property to live on. Only issues I’ve had is that I’m paying for a gated community but gates have o oh worked maybe 30% of the time in a year and due to renovations noise has been disturbing. We are sorry to hear that you have had this experience. We want to work to resolve it as quickly as possible, as it's our goal for our tenants to receive 5-star service every time. We are available by e-mail through our website, as well please feel free to call 904-332-8824 to speak with someone in our office. Thank you. At first there are many problems due to works,but once if our problem is known you helped us on great way...as days passed,works are about to complete you guys were just rocking...we know there were many haters first,but I am sure now there would be 0.you were trying to bring a friendly environment.. you were just rocking love this community alot.. Thank you so much for your feedback! We are glad you enjoy living at Century Deerwood Park and we look forward to serving you for many years to come! 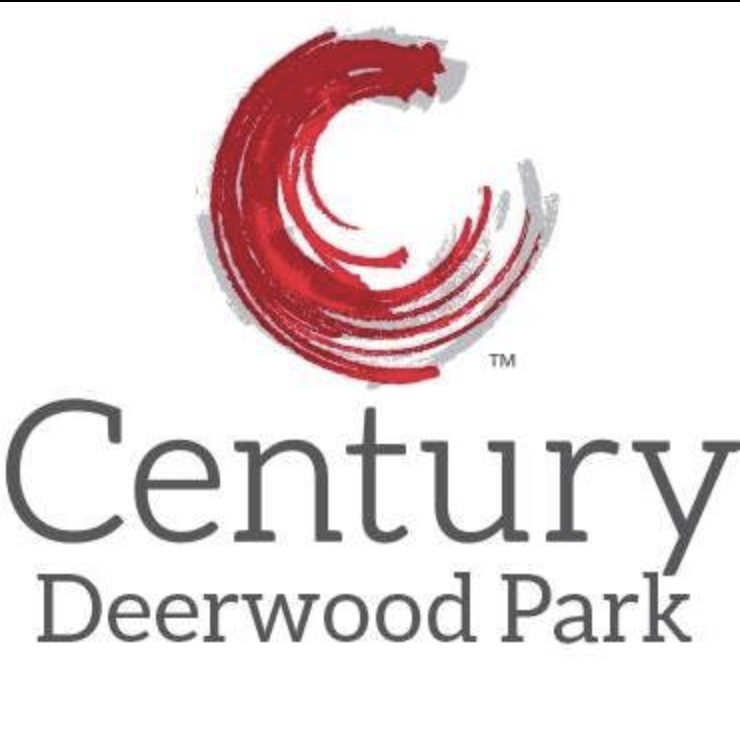 I think Century at Deerwood offers the biggest apartment size with the most amenities for the best price. Also, the location is amazing being right by tinsel town. Kristin, Thank you for the awesome 5-star review and this great feedback! We want to continue to give you a great place to live and look forward to continuing to serve you and your neighbors with this high level of quality! Thank you again for taking the time to leave us this review! Things are getting better day by day. The community is getting the upgrades it needs and the staff communication and involvement has improved. All the issues I previously had were resolved within 2 1/2 months and I am looking forward to a more positive experience. The resident appreciation week was a nice touch! I Love the community so far. Maintenance didn’t follow through on some things but it’s fine. The apartment is great and I love the space. Would recommend. Loved it when we first moved here and it was Thornton park. The trash service was amazing. Garages were turned over and available for tenants to rent. Any garage that becomes available is used for the company. Maintenance is unreliable. I’ve had them come out twice for the fridge and my ice maker still doesn’t work and water comes out warm. They also charge a ridiculous amount for trash service that’s 10x worse than our old one. I know change is hard and they did make an effort with resident appreciation week so I’m cutting some slack. Our actual apartment is amazing, but the new property management and such hasn’t been the greatest. They don’t call back when they say they will. Margaret, We are sorry to hear about these instances. We work to provide a comfortable and accessible living environment for all of our tenants. We invite you to come to the front office and speak with our manager to discuss these situations and find a resolution. Thank you. Beautiful complex, great staff, and an overall great community. Century Deerwood Park is a perfect fit for everyone. Plenty of activities and amenities! Ronda, Thank you for the awesome 5-star review and this great feedback! We want to continue to give you a great place to live and look forward to continuing to serve you and your neighbors with this high level of quality! Thank you again for taking the time to leave us this review! Great location, everything you need is right around the corner. Especially the Town Center being about five minutes away, but not too close where you encounter traffic. Thank you for sharing your feedback! We are glad your experience has been a positive one and that you enjoy living at Century Deerwood Park. We look forward to serving you for many years to come! I moved in almost 2 years ago and have enjoy every day here. It is quite and cozy. The grounds are always kept very clean. The staff is very helpful and friendly. The quality of the amenities are outstanding. Colleen, Thank you for the awesome 5-star review and this great feedback! We want to continue to give you a great place to live and look forward to continuing to serve you and your neighbors with this high level of quality! Thank you again for taking the time to leave us this review! Moved from out of state and found Century Deerwood Park online. The staff was extremely helpful in getting everything set up and all the photos online accurately represent the community. Love the location and amenities. Staff are very good. Clean breezeways could be better. The gate should be updated to an option that doesn’t get hit too often. Maybe adding horizontal poles that go up and down in addition to the gate and a wider speed bump. What first attracted me to Century Deerwood Park was the location. You cannot beat this perfectly placed apartment complex, right in the middle of everything. The apartments are gorgeous and spacious and ultimately what lead me to sign the lease. Since moving in, all my concerns or complaints whether it be a maintenance issue or not, have been addressed in a promptly manner. The community is quiet and my neighbors are friendly. So far, I have truly enjoyed living in this complex. I have had a great experience living at Century Deerwood Park. The staff is helpful and friendly. Maintenance issues are taken care immediately and I love all the extra things they do for the residents like free chic filet breakfast and pizza for dinner. The grounds are beautiful and they’re always working on upgrades. I love it here! Laura, Thank you for the awesome 5-star review and this great feedback! We want to continue to give you a great place to live and look forward to continuing to serve you and your neighbors with this high level of quality! Thank you again for taking the time to leave us this review! Have had great experiences so far! Like the upgrades and the activities lately. I had some issues with billing hut they realized their error and fixed it. Vincent, Thank you for the awesome 5-star review and this great feedback! We want to continue to give you a great place to live and look forward to continuing to serve you and your neighbors with this high level of quality! Thank you again for taking the time to leave us this review! The neighborhood layout is very nice and the clubhouse amenities are very well kept and clean. Several issues with appliances in our apartment and bugs. Matthew, Thank you for the awesome 5-star review and this great feedback! We want to continue to give you a great place to live and look forward to continuing to serve you and your neighbors with this high level of quality! Thank you again for taking the time to leave us this review! My resident experience has been above average but not exceptional with all of the management changes. The trash service has become very inconvenient and the maintenance service has been sub par. We appreciate your feedback as it gives us an opportunity to improve. Our first priority at Century Deerwood Park is our residents and their satisfaction. We apologize for any inconvenience you may have experienced. Please contact our office at your earliest convenience to discuss your current issues and they will be addressed promptly. Summer, Thank you for the awesome 5-star review and this great feedback! We want to continue to give you a great place to live and look forward to continuing to serve you and your neighbors with this high level of quality! Thank you again for taking the time to leave us this review! Thank you for the awesome 5-star review and this great feedback! We want to continue to give you a great place to live and look forward to continuing to serve you and your neighbors with this high level of quality! We appreciate your feedback as it gives us an opportunity to improve. Our first priority at Century Deerwood Park is our residents and their satisfaction. We apologize for any inconvenience you may have experienced. Please contact our office at your earliest convenience to discuss your current issues and they will be addressed promptly. The new renovated apartments are nice and love the floorplan,but had a lot of problems after moving in and finally got everything fixed, but was annoying we even had to get anything fixed. But overall happy now! Thank you for the awesome 5-star review and this great feedback! We want to continue to give you a great place to live and look forward to continuing to serve you and your neighbors with this high level of quality! Thank you again for taking the time to leave us this review! Could be better. Gate is always broken, neighbors are loud, move in process was difficult. Communication between tenants and management was not handled properly. Staff is not knowledgeable with rates and fees. Staff also didn’t go through the contract signing at move-in. Thank you so much for your feedback. We are sad to hear that your experience with us has been a negative one. We take all resident concerns very seriously and will take the necessary action to ensure that your issue is handled appropriately. Please call the office at your convenience and let us know what we can do to make this right for you. Thank you for being a valued resident at Century Deerwood Park. Slowly but surely everything is coming together:) and loving the new bark around the complex! Just wish the pools would remain clean and working bbq!